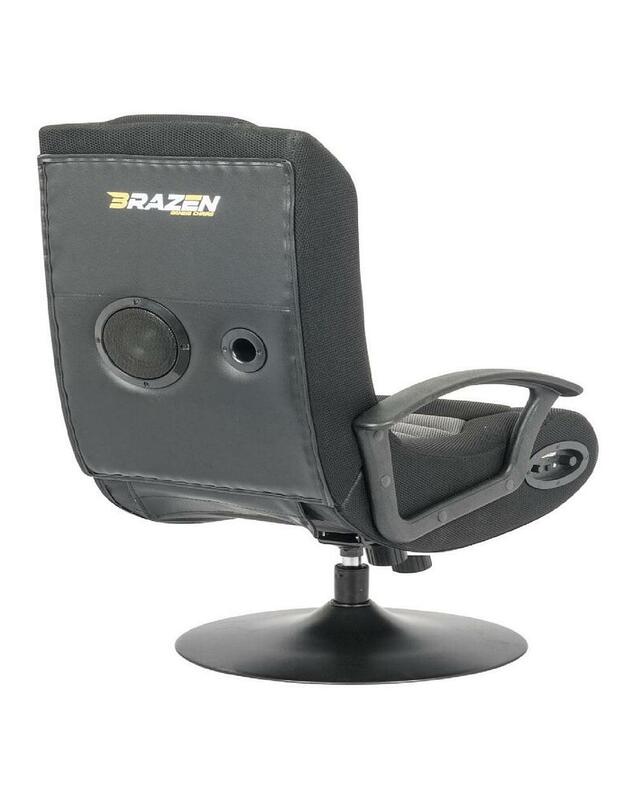 Brazen Stag 2.1 Bluetooth Surround Sound Gaming Chair is a very robust piece of furniture with the added benefit of 2.1 surround sound speakers. 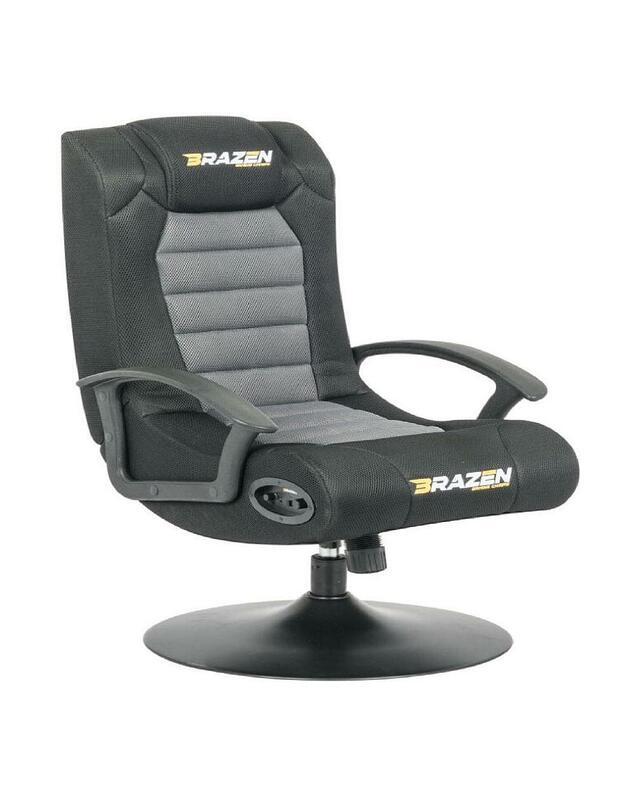 Relax in this chair and play your favourite game, watch that blockbuster movie or listen to that chart busting music. This is the multimedia entertainment chair you could only dream of! The chair is mains powered and comes with adaptor. The chair connects to almost any device with an audio out including PS4, PS3, Wii, Xbox One, Xbox360, Televisions and Smartphones. The chair comes with audio cable to allow it to be connected to the chosen device. It is therefore a gaming, cinema and music chair all in one! Please Note. To avoid confusion please note that the audio cable is not connected directly to the games console, but the audio out of the television.